"Where's your home?" "With my dad." Without structure there is chaos, but with too stringent a structure there is no inner peace. Some people can manage the chaos as long as they retain their inner peace. Ben Foster's Will is one of those people. Will is a veteran whose background has taught him to deal with the chaos around him, but in adapting to this chaos and feeding his inner peace as needed he is unable to adapt back into the society he's seemingly sacrificed so much to sustain. It's a hell of a conflict made even more complicated by the presence of Will's daughter, Tom (newcomer Thomasin McKenzie who will no doubt have her own franchise by next Spring), who is coming of age herself and coming to terms with the fact her father's life doesn't have to be her life. Leave No Trace both explores the two human beings at the center of itself as well as the systems in place they both rebel against and embrace. Written and directed by Debra Granik (Winter's Bone) as based on Peter Rock's novel, "My Abandonment", the film is essentially about a young girl learning to carve her own path and find her own home. Granik is keen on her characters; making them and by default, Foster and McKenzie's wonderful performances, the highlight of her film. Despite his inability to adapt or unwillingness to try Will loves his daughter more than anything and vice versa. Tom may not want to continue down the same path as her father, but she respects him and the life he's provided for her thus far more than anything. Granik paints this portrait of want versus need once again through the details of her piece. The first time the film cuts to Will and Tom in modern society after being reunited after having been arrested for living on public land we hear a traffic report on the radio about congested areas hinting at the mundaneness of societal life. Granik sprinkles in the presence of the American flag throughout-a symbol that no doubt has come to be little more than that. We see Will trying to adapt in taking a job at a Christmas tree farm where he can't seem to hold himself together the minute he hears the sound of the helicopter swooping in to drop off trees from deep in the woods. Another scene where Will teaches his daughter how to ride a bike hints at what could have been, but alas-is not able to last. It is all very heartbreaking yet extremely humble in its execution. The first activity we see/hear Tom and her father partaking in together is that of humming "You Are My Sunshine". I thought the movie had me at this moment given this is the designated song my wife always sings to our daughter, but while Leave No Trace is a handsomely crafted film, an exceptionally acted one, and deals with weighty topics in realistic fashion I was never as ultimately moved as I expected to be in those opening moments. There was no gut reaction despite the fact we see this shift in the dynamic between a father and daughter whose bond is said and shown to be as genuine as anything can be. Despite the fact this shift will cause a rift in an otherwise perfectly harmonious relationship and neither will be able to compromise enough for the other. Despite all of this I wasn't moved like I felt I should have been. That doesn't mean the end product isn't effective, but more I wasn't as fulfilled by the story as others might be. 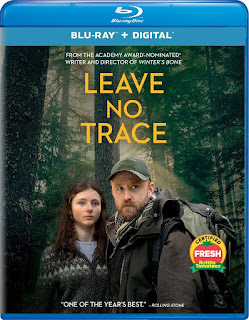 Still, much as Tom does in the camp ground community she and her father meet, there is solace to be found in Leave No Trace no matter what walk of life you come from or which path you'll be following from here on out. The last three or so minutes of Three Identical Strangers will get you despite it dragging slightly from moment to moment in the last half hour. Utterly, utterly fascinating stuff here that is as much about nature versus nurture as it is context, context, context. 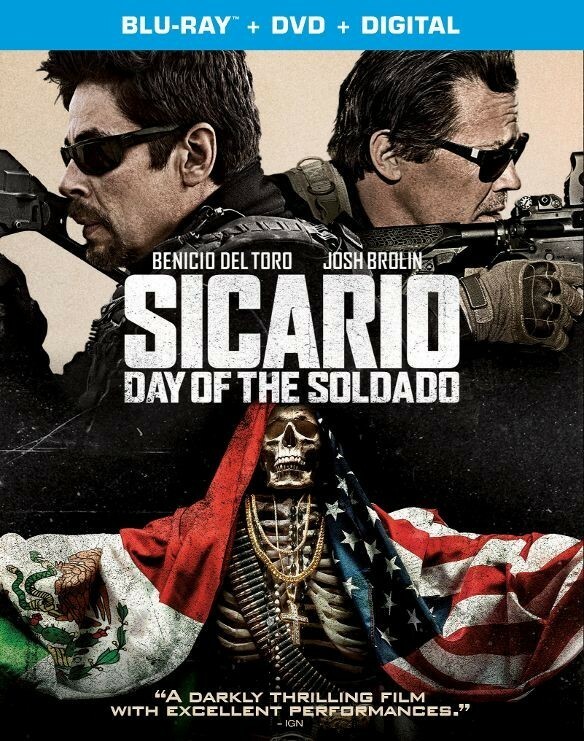 To this point, the editing is outstanding. The fourth Purge movie is an origin movie that chronicles how America's third political party, the New Founding Fathers, came to power and decided to conduct an experiment with the help of Marisa Tomei to try and push the crime rate below one percent for the rest of the year. That experiment? No laws are enforced for twelve hours. Having seen the previous three Purge films and being burnt out by the end of that third one there was no real desire to rush out to see this final attempt to mine money from what was always an engaging premise, but never executed to its full potential. While I imagine The First Purge is more of the same I'll likely come back around to it at some point given my need to complete any franchises I am embark on.